I can’t remember how I stumbled upon Recycled Firefighter, but I do remember thinking they had some good looking USA Made rucks sitting at a pretty price point ($139-$199). While they are mostly marketed to the EDC crowd, the build was obviously high quality and I thought it might make for a good ruck. 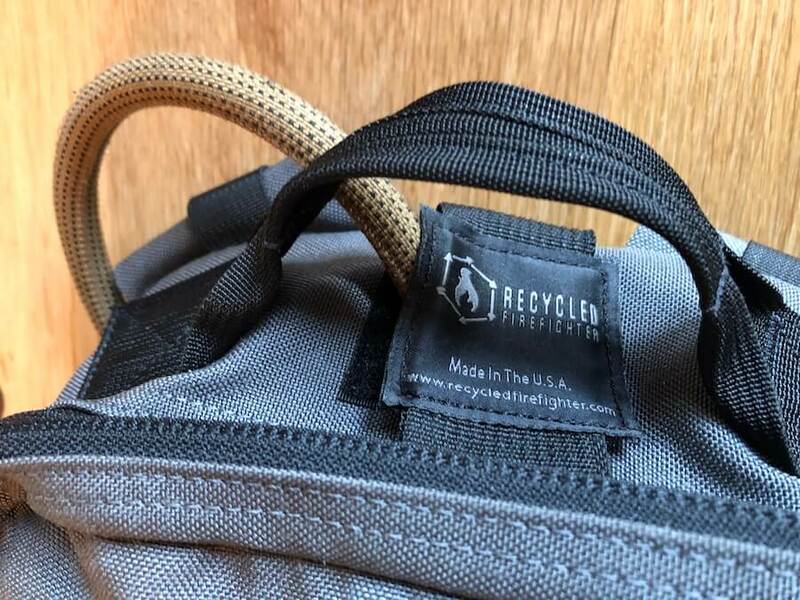 Want to win a Recycled Firefighter ruck? Check out this month’s Rucking Challenge. 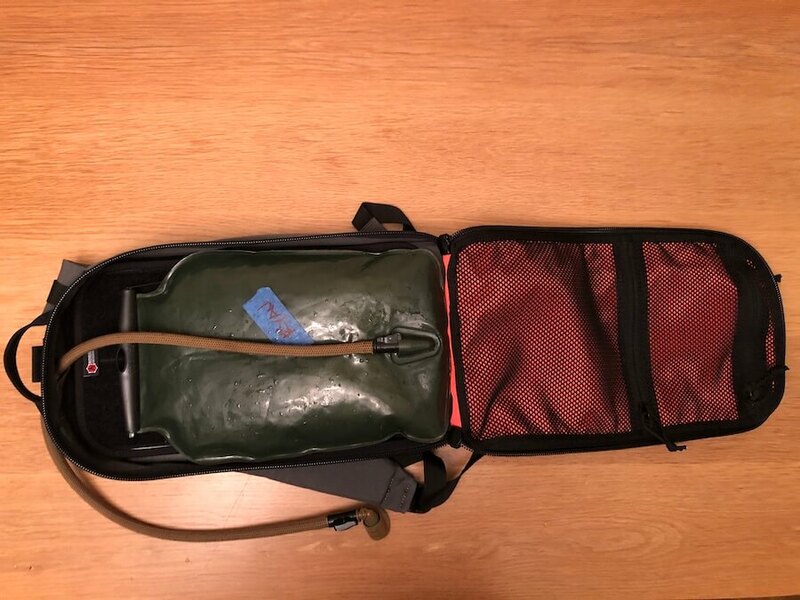 Recycled Firefighter is giving away 2 rucks and 3 wallets. I reached out to Jake and he sent me a couple rucks to check out. I was not disappointed. I never thought I’d like a small ruck. For most GORUCK events and general rucking, I use my 21L GR1 American. But, when the Battalion 12-Hour arrived, I was intrigued. I grabbed a 20# Ruck Plate and threw it in the ruck and walked around the house. 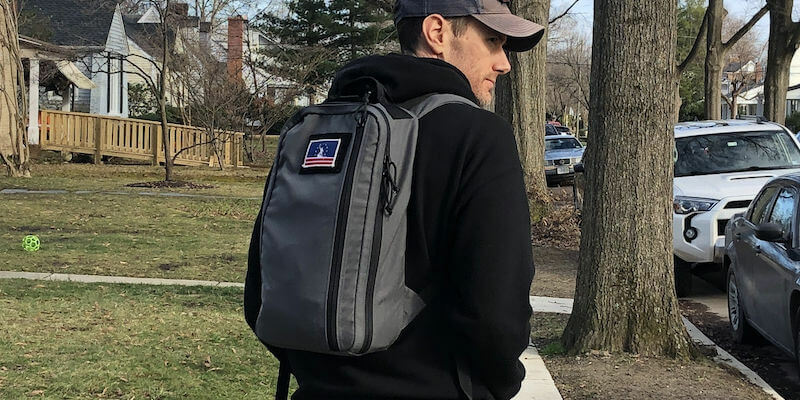 I immediately thought this little ruck had huge potential and decided to give it a real test with a 20.19-mile ruck (which I was doing for the Monthly Rucking Challenge). 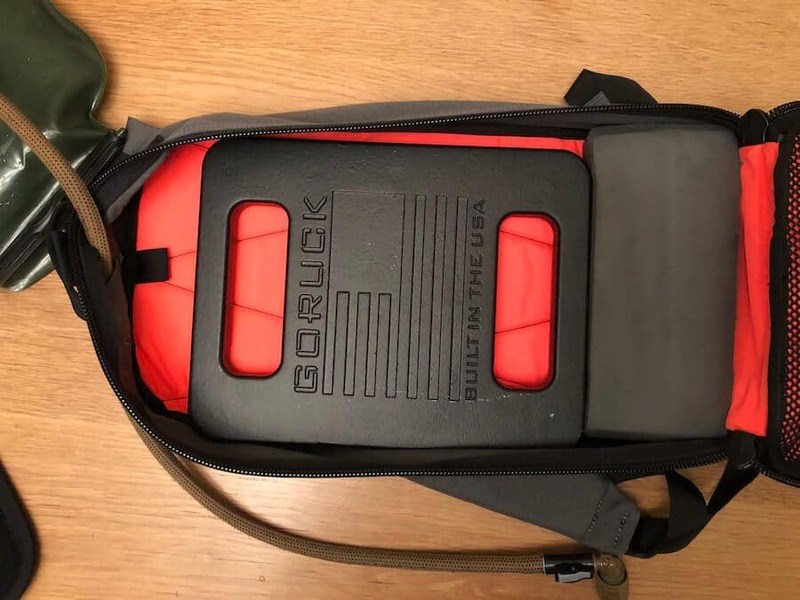 To begin with, this ruck doesn’t have a frame sheet and if you’re going to ruck with it, I’d recommend getting/making one. Jake was kind enough to send me Rigid Loop Panel, which worked just fine for a frame sheet. (Though, I’m probably going to build a Kydex sheet like I did for my GR1 in order to give it more rigidity). I also like to keep my Ruck Plate as high as possible, so I added a chopped up yoga block to get it higher in the ruck. 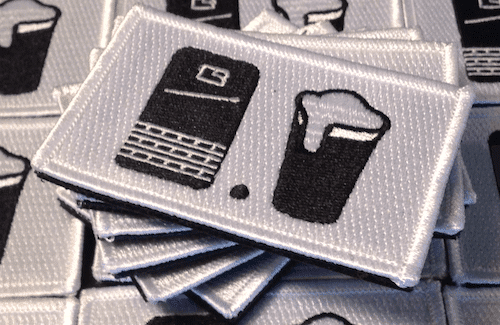 (This is also what I do for my Ruck Plate in my GR1… someday I’ll write a post about it). After this, I tossed in my 3L Source Hydration Bladder, which fit perfectly. Once all this was in, I had just enough room to add my Northface Rain Shell and a hat. 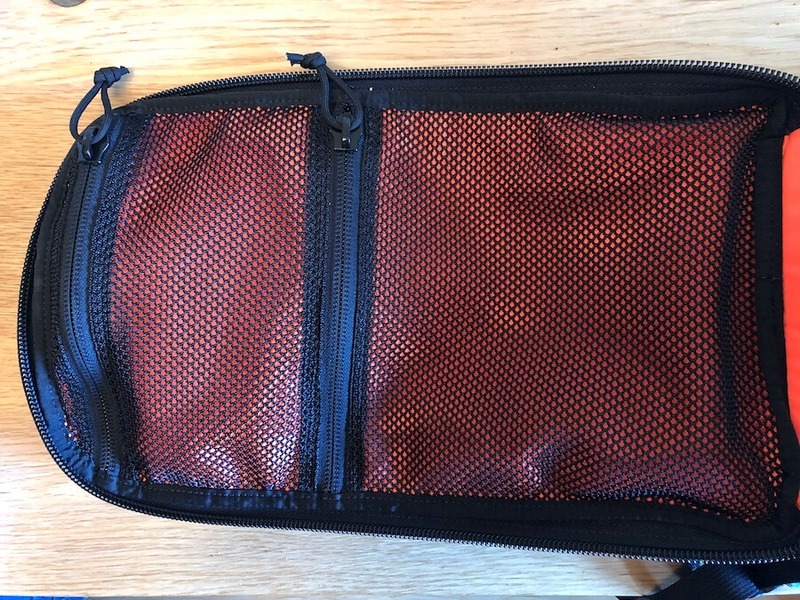 The Battalion 12-Hour has a couple of mesh pockets on the front panel and this is where I stored my wallet and keys for the ruck. 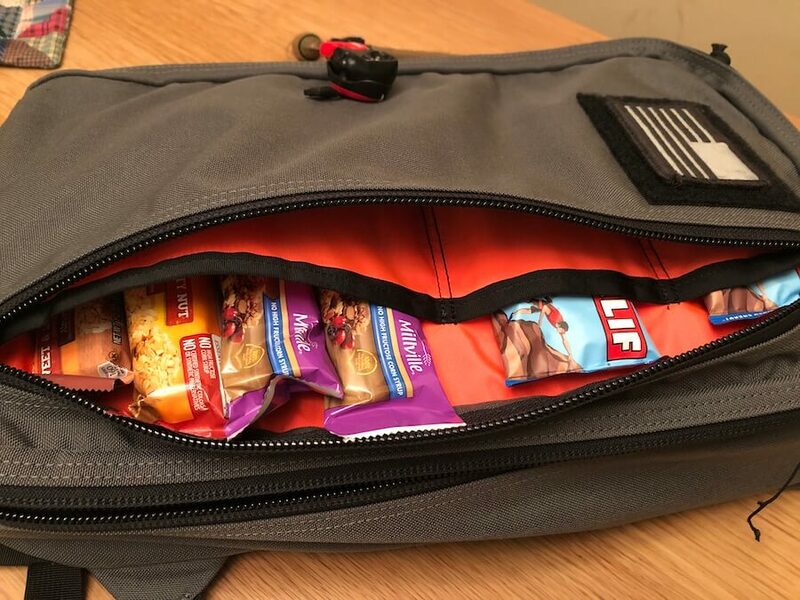 Finally, and I have come to absolutely LOVE this feature, I loaded up the front zip pouch with some snacks. The real beauty of this set up is two-fold. First, the vertical zipper means that when I sling my ruck around to my front, the vertical pocket is now horizontal to the ground. I can easily zip it open and have easy access to my stuff. The second thing I love is that there are “pockets” within the pocket so that all my supplies are not just floating freely around in the ruck. Honestly, this was nothing short of amazing during the ruck. Honestly, I was nervous to take an untested ruck out on a 20-mile ruck. I even planned our route so to cross our start point halfway through the ruck so I could switch the bag out at 10-miles if it wasn’t working out. However, there was no need. The Battalion 12-Hour performed like a charm. Total weight of the ruck at the start was about 32# and it felt wonderful. Honestly, I didn’t have any issues whatsoever during the entire ruck. The thing just feels great. I plan to do the DC Star Course 50-Miler this year. Right now, the Battalion 12-Hour is the ruck I plan on using. With the 20# Ruck Plate, bladder, and extra gear, it is darn near perfect. I love this little ruck and, honestly, it doesn’t look or feel little. For going on a ruck, it kinda feels perfect. There are two areas that I still want to test out this ruck. First, I want to put some miles on it with my 30# Ruck Plate. The plate fits in there and I’ve worn it around the house, but I really need to get out there and see how the ruck sits when it is under closer to 40#. In addition to rucking with more weight, I want to see how it holds up to a GORUCK event. 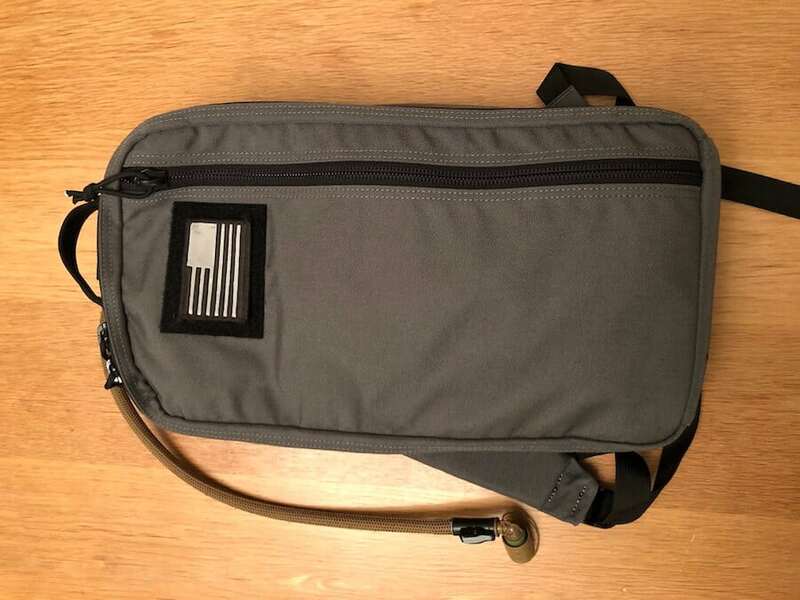 Right now, I think this might be a really good ruck for a GORUCK Light… and maybe a Tough. Being a smaller ruck would certainly have advantages and I tend to already pack light. So, this might be a good fit. As I take this ruck through more paces, I’ll be sure to update this review. I love the Battalion 12-Hour Ruck by Recycled Firefighter. It proved that it can stand up to the demands that I’m gonna toss at it for the GORUCK Star Course and I think it has plenty of room to be pushed harder than that. AND, at $149… this USA Made ruck is pretty hard to pass up. So, got any questions? Drop them in the comment section below. 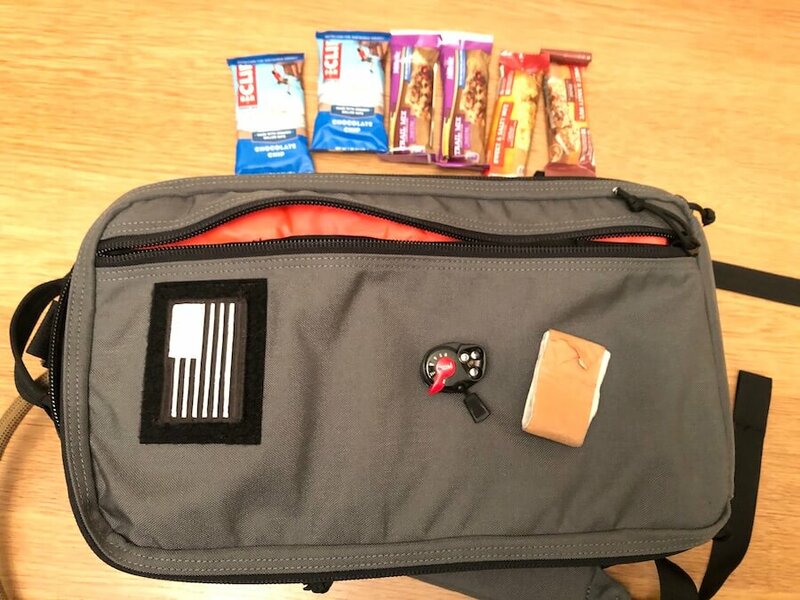 Learn more about the Battalion 12-Hour Ruck. Good review but I had a question. You showed a picture of the inside with your plate and yoga block but I noticed there was no strap. How did you keep the plate on top of the yoga block in the ruck without a strap? Or was it small enough that you didn’t need one? The yoga block filled the entire bottom of the ruck and the water bladder + jacket kept everything in place. Oh ok cool! Thanks man! 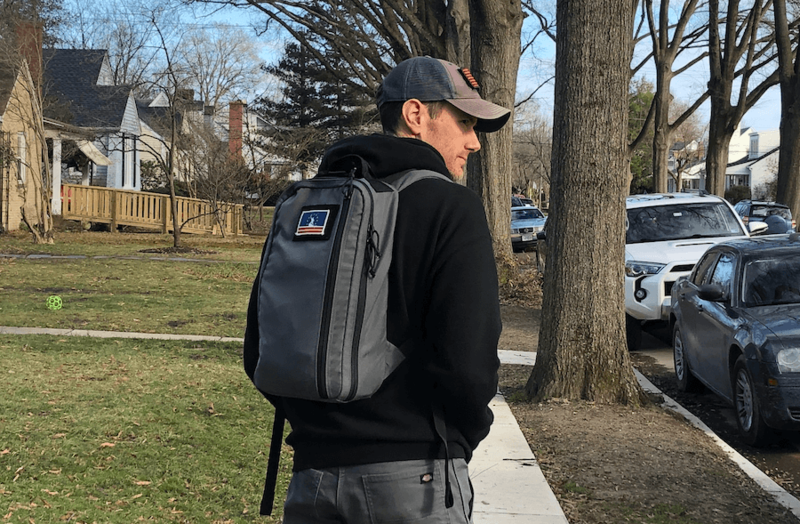 Will you be doing a review of the 24-hour backpack? Yup. Just gotta put it through the paces a little bit more. I’ve rucked it a few times and like it a lot. Like the 12 hour, it is gonna need a frame sheet. Otherwise, I just need to see how it handles a few PT sessions. It seems so small for a 50 milers, not scared to miss a few gears (or you have external support) ?